Austria is possibly one of the most memorable of places for me ! It is the place i met my boyfriend. 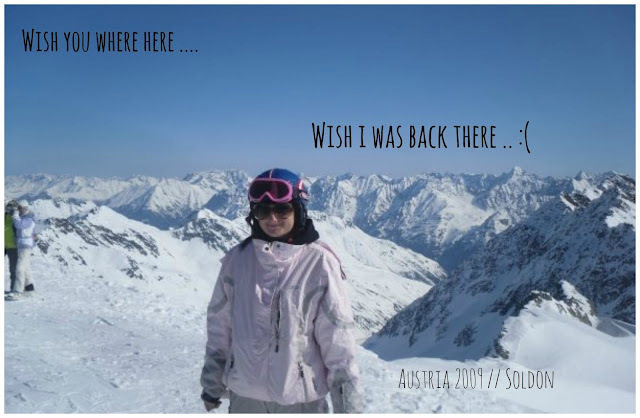 *Awwww* Basically i went to Austria on a school skiing trip when i was in year 10 so around 15 years old. I had never been skiing before but my parents offered to pay for me to go and said it would be amazing! I was slightly apprehensive at first and nearly pulled out of the trip as i didnt actually know any one going on the trip as well at first but once i got chatting to people about it i found a few other girls in my school year where going and a few boys who i knew from the year below so i didn't feel so bad ! My parents bought me all the gear that i needed to go with and i over packed wayyy too much (as always) and set off on the coach for what seemed like a year long bus journey to Austria. Within about an hour of being on the coach i already had spoken to most people around me and ended up swapping seats to sit with some other boys to chat to them. So getting down to the actual skiing .. all the first years where given the basics on the first day but then where split up in to who caught on better. i was put in the best group so obviously i was feeling pretty good with my self ;) ! There was me and Sarah being the only girls and then a few other boys, within this group there was a particular boy who caught my eye .. Darren :) i liked him from the very minute we got chatting such a lovely boy who was really easy to get along with and was good fun! we ended up being really good friends by the end of the week ! i made a lot of friends that week and i think now what if i didn't actually go !! Any way we stayed in touch just as friends really then a year passed and it was time for the annual school ski trip again which i immediately booked on to along with all my other friends i had made the previous year plus a few extras i managed to convince to come along :D.
Anyyyywayyyy so four years later here we are still together and stronger than EVERRR :D.
This memory will always be with me as i feel its such a special and different way to meet ! If i actually won this competition i know exactly what i would spend the money on .. Another ski trip with my boy :D ! 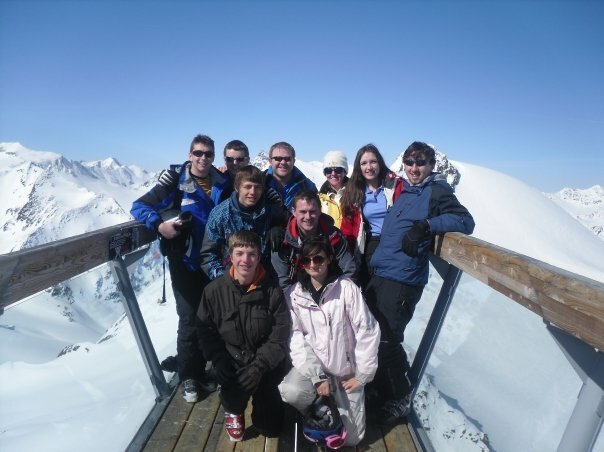 Also it would actually be my dream to work within a ski resort ! 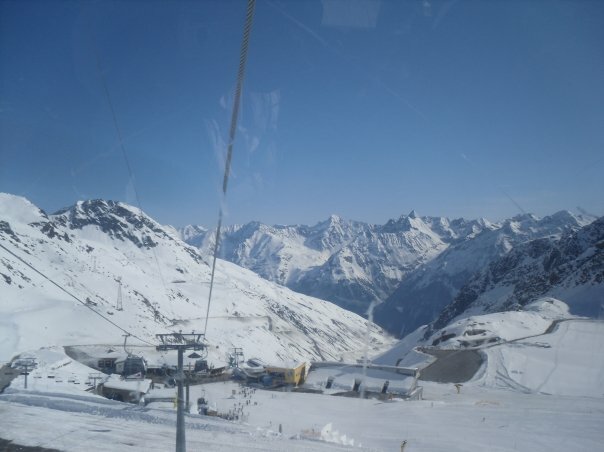 juat for like one ski season :) i plan to do it after uni ! I hope you liked this post as its a bit different to my normal ramblings :P.
My obvious love for Darren shown here ! End of the month Shopping !